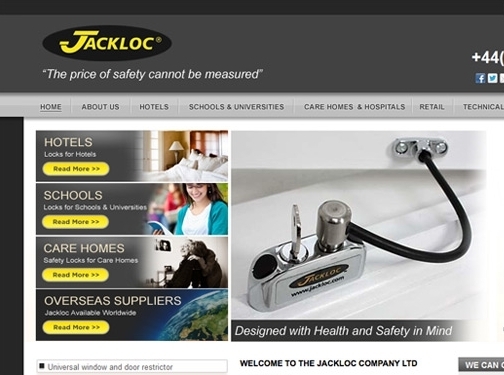 Jackloc are an established window lock and door restrictor company, whose products are designed with health and safety in mind. UK (Lutterworth) based company - established in 2003 - providing windows and door locks / restrictors. Website includes details of products provided, categories of suitable customers (e.g. schools & universities), product video guide, downloadable PDF guides, certifications, full company contact details.